I brought them all to Sukira with me today, praying luck was on my side. I was really nervous and somehow I didn’t have a good feeling about this, since KBS security is strict. But there I was, waiting for them. Sungmin and Ryeowook were late which made me even more nervous. When they finally arrived Sungmin was waving to everyone, so I ran to the turnstiles that separate us from the boys, called him and lifted the bag so he could see I was trying to give him gifts. He said something to me, I think he told me to be careful because security was going to be mad, and as soon as he said that security came to me and told me to go back. Sungmin told me he was sorry and my heart broke right that instant. I’m so sure he noticed in my face, I literally let out a loud sigh like ‘I can’t believe this is happening’. And I could tell he was really sorry. The security told me to go back again so I did. I turned around to see if Sungmin was still there and he came back, waved at me and smiled as if to compensate he couldn’t get the gifts, I smiled at him and waved back, and he left. I had no other choice but to go to my spot at the windows. So I ran there with the bag full of gifts. I had to leave it in a corner during the show, so I prayed no one would touch anything. At the lobby everyone was looking at me, I was the only one with gifts, and it was so embarrassing. Sukira started and I felt terrible. I had failed. After a few minutes a girl came to me and told me Sungmin had come back to the lobby to get the gifts! But I wasn’t there anymore, obviously, so I felt terrible again. She told me to try again. And so I did. I got the bag quickly and ran inside when Sukira ended. I was going to stand in front again but security told me to step back. So I did. Then Sungmin came out. I think he was looking for me. He came out completely alone, not even Ryeowook or manager or staff were with him. So I approached the gate again and Sungmin walked towards me. The security guard came and I think Sungmin was kind of apprehensive he was going to yell at me haha So when I lifted and tried to give it to him he told me to give the bag to security. The security guard didn’t want to take it though. I don’t know what he said, but Sungmin told him it was alright. The security guard looked inside the bag for some reason, maybe to make sure nothing dangerous was inside, and said something to Sungmin. Sungmin said it was alright again and he opened the little gate and finally handed the bag to Sungmin. Sungmin thanked the security guard, I thanked Sungmin, Sungmin thanked me and we bowed to each other. He had this sweet smile on his face all the time and it was just beautiful. He waved a bit to the fans and left through another elevator, where Ryeowook and staff were and we couldn’t see them. No one else came out, only Sungmin, to get the gifts I couldn’t give to him earlier. A huge wave of happiness and relief crashed on me. Security didn’t want me to give him the gifts but he still “confronted” him. Sungmin wore the jacket to Sukira on 1/16; and the gray shirt to Fame on 1/21, Sukira on 2/10 and 3/08! 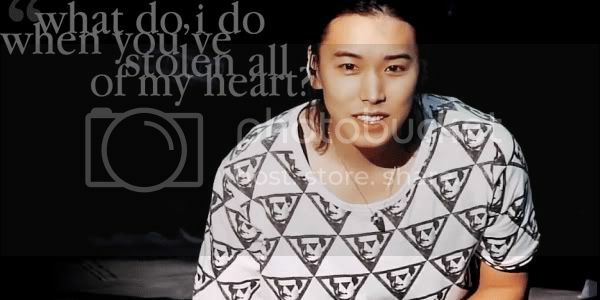 oh my.. our sungmin is so amazing. This is so great that I burst into tears now overflowing feelings in my soul and heart! Aw~~ ;_;. I'm so happy to read this. He's such a sweetheart, he came back to get his gifts and he even confronted the security guard. I'm so happy for you, that must had been a really hard thing for you :3.
oh my..the gifts were safe with Min now..i'm so touched..thank you admins for all your hard work, energy and also financial..
Aww Vivi, I feel bad that you had to go through those moments of sadness and frustration before getting the gifts to Sungmin. But thank you so much for persevering! Your fan account warms my heart when reading about how sweet Sungmin was! All the presents look soooo cute! I LOVE the message book! I want one! lol I can't wait to see if he wears the shirts! But we don't have to wait to see if he wore the jacket because he did last niiigghhtt!!! KSJHLFKJAHSDGLJA YAY! It is such a nice jacket too! HE LOOKS SO HANDSOME IN IT! It's exactly the types of things I want to see Sungmin in! lol I'm also glad to read that there were too many photo entries to fit! Great job, perMINent members! <3 I'm sure we made Sungmin happy and just the thought of that makes me feel so sahjaksgjak;sjg indescribably bubbly and joyful!!! eeee I think..not sure but I think I found a fancam!! if this is the right one? I think he really looked so sorry and kept waving to you.. is it this?is it? and in this fancam it's a close up to the same moment first 13 sec. then at 1:18 was that when he told you to give it to the security man? are those fancams of you trying to give them to our kind hearted ming or is it someone else? if so pls forgive me..I'm just too excited and hoping it's perMINent moment..
just screw that security man!!! once again, congratz you guys..
AJJDSLASJDFSKDJFL SO IT IS I'm so glad we got to see this!!! THANK YOU FOR CONFIRMING! I LOVE YOU ♥ NOW I CAN GO CRAZY TO MY HEART'S CONTENT! VIVI YOU DESERVE THAT SWEET SMILE DEAR SUNGMIN GAVE YOU! I'M SURE IT ERASED ALL THE STRESS IMMEDIATELY..RIGHT? Thank you for sending birthday present to SungMin. The jacket looks great on SungMin. I'm very glad to take part in this project. Its great to see him wearing the gift that we got for him! *yeah*..
you must be very happy..
Min is so sweet, isn't he? can i join for the next birthday project next year? Nonetheless, I'm so happy to hear all this. Djdifkfhgjfjf I know I'm bit slow since I just signed up for this forum so please forgive me ._. You guys are doing such a great job ! Thank you guys so much for all your hard work on behalf of international vitamins ^^ thank you !